While on vacation, local fare is of course the first goal for any committed eater. This past weekend I took it upon myself to explore the offerings of south-western cuisine in Santa Fe and to my delight and surprise its just as good as the south-western cuisine in Denver. I expect that when you go to a state that is geographically closer to the origin of many of exclusive Mexican dishes, there should be a difference in color, taste and texture in the food. 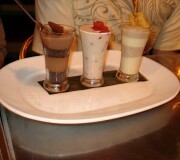 The most significant difference between these dishes served there and here is freshness of ingredients. For the most part, portions and cost seem to be negligible. After hearing from a local that Tamasita’s had some amazing Carne Adovada, I couldn’t help but make that my very first stop on the flavor town express. The Adovada in a very red, spicy, stew like sauce that seemed to be apart of the actual cooking process. There were healthy sized chunks of pork shoulder, I am assuming, that were in fact tender but a little on the dry side for a stew. 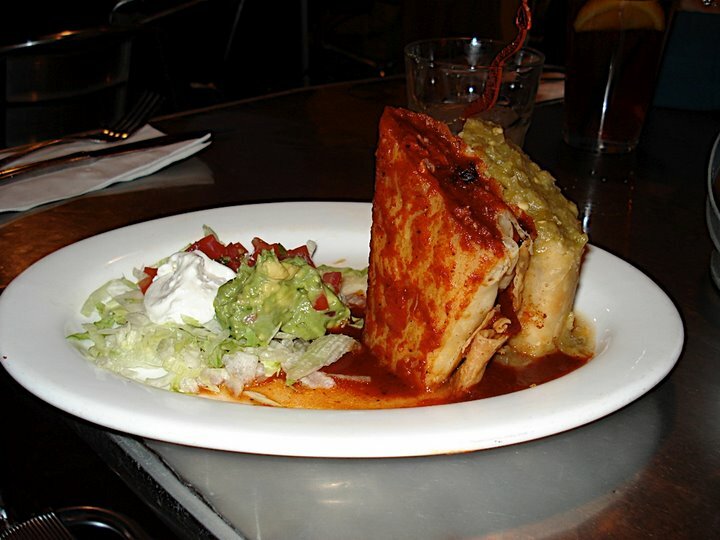 The usual sides were available but the refried beans weren’t anything to write about really. 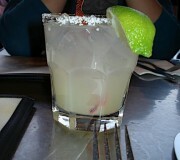 However, Tamasita’s shining star that night was their original margarita. 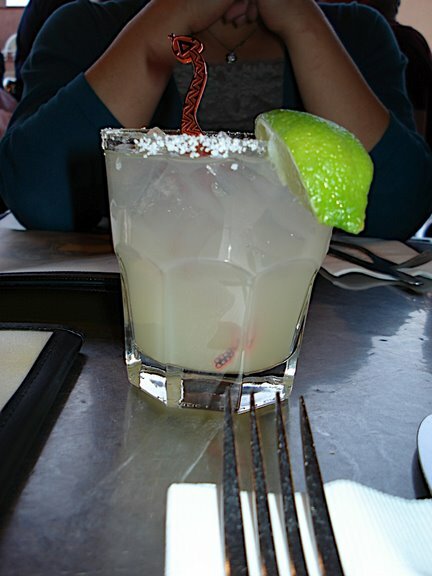 As your tastes change the margarita becomes something of a gem with the right preparation. Fresh lime juice, tequila and some salt. Simplicity, has really outdone itself. The drink was crisp and bright the tequila was almost sweet and not overly dry. Top shelf stuff. The other cantina that I was able to experience was the Coyote Cafe. The rooftop cantina features the same menu as their eat in restaurant but has slightly deflated prices to accommodate the adobe pub like atmosphere. The first thing that was enjoyable was the wait staff. Prompt, humble, polite and truly customer comfort focussed. As a matter of fact we had really exceptional service everywhere we went. So the fried wrap standing up had two types of meet and two sauces, Pork with the red sauce and chicken with the green and both were very well matched. 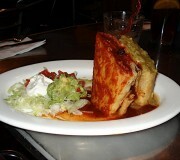 The sour cream and guacamole was really smooth and fresh and flavorful. But the real surprise was the dessert. 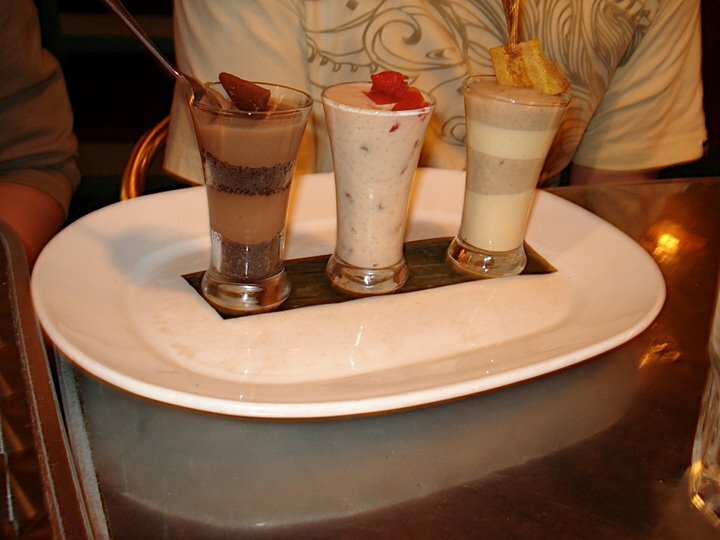 Three little cups, each one filled with a unique custard take on some classic Spanish and American tastes. There was a chocolate cake like cup, rice pudding with pecans and raisins (which no one at the table would eat except me. the texture of the rice was too much for my Japanese companions.) and a banana flan custard of sorts that was like eating a creamier version of the banana vanilla wafer pudding most enjoyed by youths growing up in the south. Overall, good. If I had stars the Santa Fe experience would only receive 3 out of 5 for lack of true distinction outside of ingredients. Preparation and flavor were all comparable to several restaurants I frequent in Colorado. I wanna go back to the French Pastry place in Santa Fe and visit great Trader Joes!